A website devoted to remembering our son, Ben, and to inspiring others to spend time with family through fun, meaningful, mind-expanding and body-busying outdoor activities. 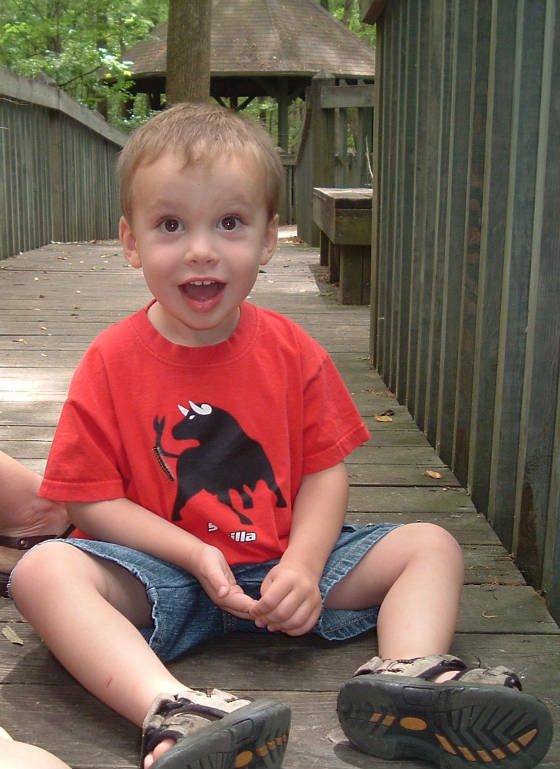 We lost our delightful Ben at age three, suddenly and unexpectedly, to brain cancer in February 2007. But we view his life as having been inspirational, an example of life lived to the fullest. He insisted that we live fully with him, and that meant getting outdoors as a family, now rather than later, and throwing our entire energy and focus into every activity. In his absence, we hope to perpetuate that notion through "Benjamin's Bugs;" please visit our Geocaching for Ben page to read about our current endeavors. View our photo album to see Ben in his three years of adventuring action. Or, share with our family your comments or your own favorite family adventures on our Log A Bug or Sign Our Guestbook page. Ben's illness was a very brief part of his life, so we've chosen not to feature it prominently on this site. However, it changed our family forever, and it will never be our intent to ignore it. For those interested in learning about his cancer, click here.